With dynamic image services, users can set properties on image services within web maps and further mine the information content of image services. Easy to use and easy to understand, web maps have emerged to communicate geographic understanding across enterprises, businesses, and constituencies. 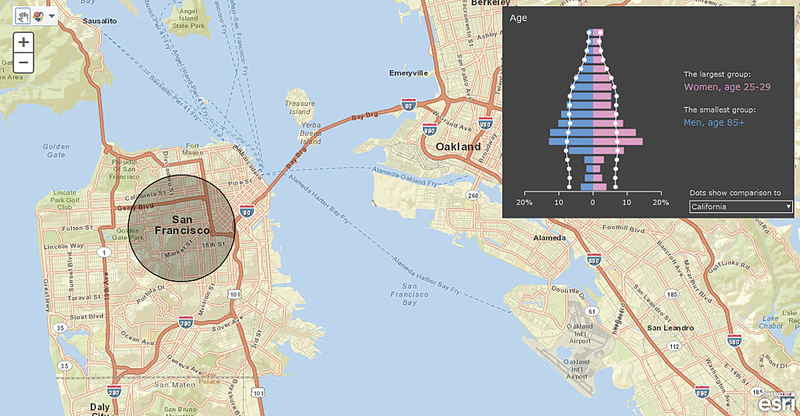 New capabilities in ArcGIS make web maps even more useful. A set of online tools lets users perform analysis against layers hosted in ArcGIS Online, as well as any other layers they can access. Geographic analysis, the foundation of GIS, is more readily available online. Users can create new hosted layers and tables. 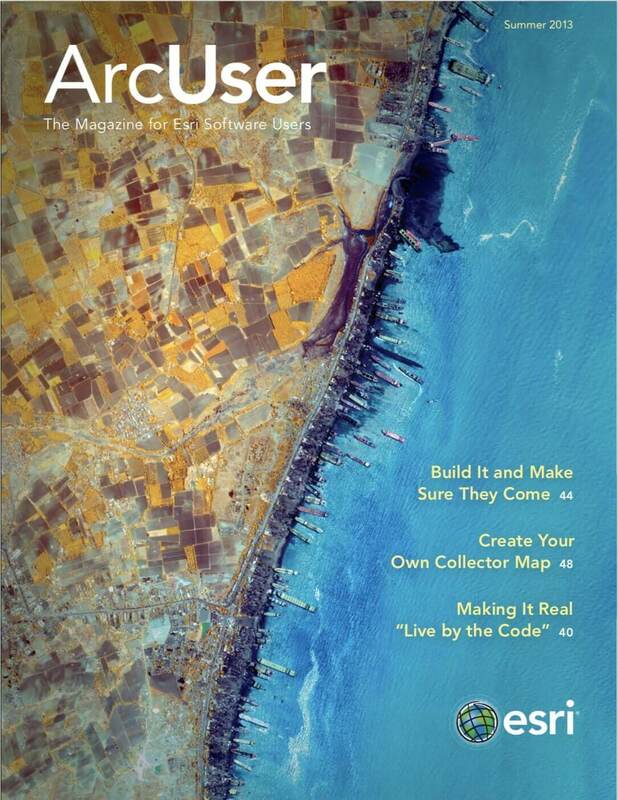 Familiarity with ArcGIS for Desktop geoprocessing tools, models, or services is not required. These online analytics are also available as services that developers can use to build custom, workflow-specific apps for use within any organization. Advanced analysis tools have been added to ArcGIS Online for analyzing and measuring geographic relationships to uncover hidden patterns, assess trends, and make more informed decisions. These new tools include overlay and hot-spot analysis as well as search by attribute and proximity. Data enrichment makes information on people, places, and businesses for a specific area or within certain distance or drive time available. With new premium content services, users can aggregate demographic data at various levels of geography, from existing administrative, political, or postal boundaries to areas the user defines. These demographic capabilities are available for more than 100 countries through the geoenrichment API. Ready-to-use, dynamic web maps bring demographic data directly into web, desktop, and mobile applications. 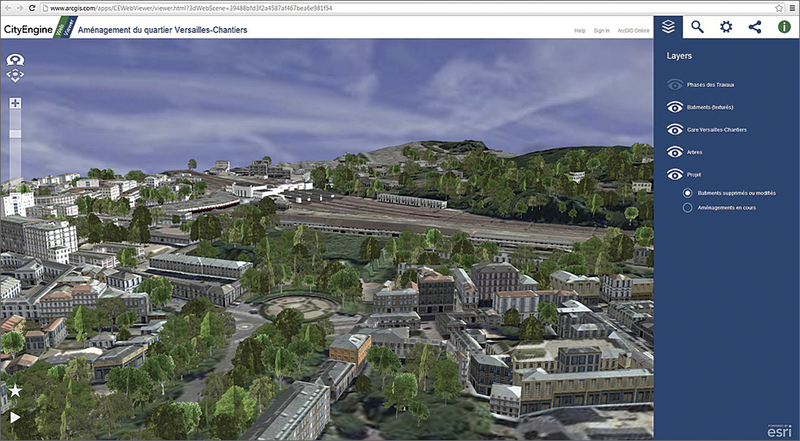 Esri CityEngine Web Viewer makes web scenes available for 3D presentations. The new landscape services gives users access to incredibly rich biogeographic data that can be used to support natural resource management efforts, as well as land-use and conservation planning at regional and national scales. Landscape services include dozens of ready-to-use image services to support analytical tasks, feature services, web maps, and geoenrichment services. 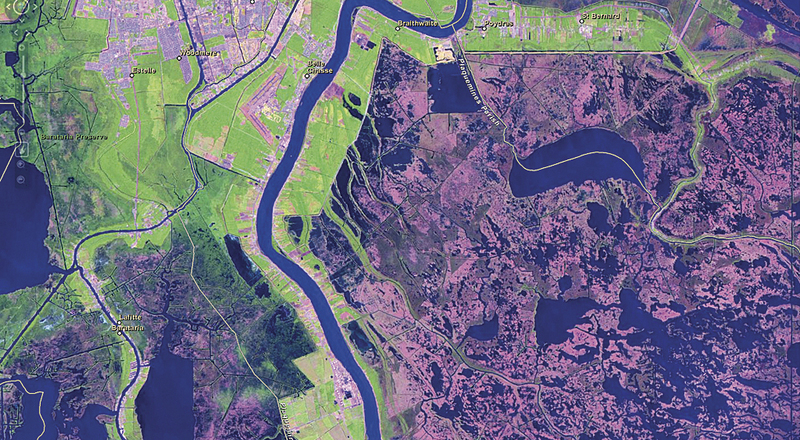 With dynamic image services, users can set properties on image services within web maps and further mine the information content of image services—particularly for very large collections of imagery. Configurable web map pop-up windows for dynamic image services provide not only metadata about the specified image but also information about the specific pixel or data values for any location on the map. Esri CityEngine Web Viewer makes web scenes available for 3D presentations. Users can explore locations, compare side-by-side views, and create fly-throughs of city models using any WebGL-enabled browser. Organizations that use MicroStrategy BI and Microsoft Dynamics Customer Relationship Management can analyze data in a geographic context without leaving these applications. Data enrichment makes information on people, places, and businesses for a specific area or within certain distance or drive time available. With enterprise authentication, organizational account administrators can configure ArcGIS Online so that users can sign in using their existing enterprise user names and passwords, eliminating the need for multiple user credentials. This provides improved security for an organization’s digital resources and users’ personal information. Administrators don’t have to replicate databases containing user credentials for separate applications and systems. A new pricing and licensing model offers scalable plans based on anticipated volume of use per month. Developers can use their ArcGIS Online subscription to take advantage of hosted services, including geocoding and place search, directions and routing, data query, and a wide selection of ready-to-use basemaps. Geotrigger, also available with ArcGIS, allows developers to build smart location-aware apps that are ideal for mobile advertising. Geotrigger can be used in combination with other ArcGIS Online services, such as geocoding, routing, basemaps, and geoenrichment. These capabilities are making ArcGIS a part of everyday work life for many more people and empowering them to respond effectively to issues that affect their communities and the environment.